Our Loved Ones is a free service for families to publish a memorial to their loved one, providing a safe place for family and friends to pay their final respects. 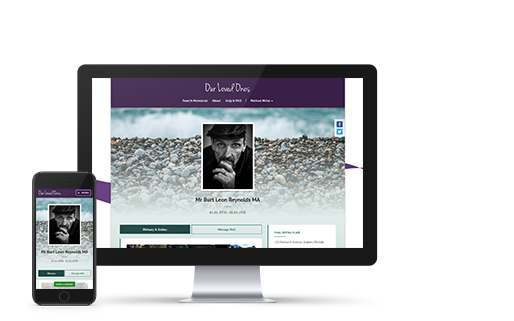 The memorials allow the bereaved to create an online legacy for their loved one, as well as give friends and family easy access to add their own memories, messages and photos. Our Loved Ones has been created by Reynolds Funeral Service, a company that is now over 150 years old. 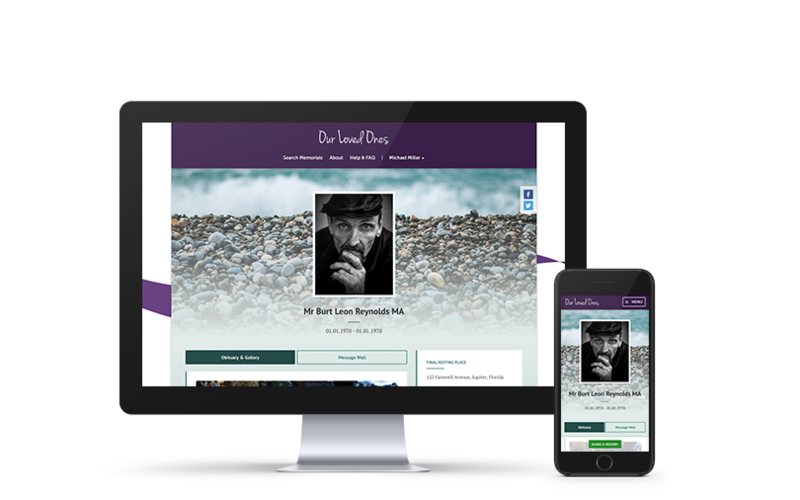 Reynolds Funerals have a strapline ‘Our family caring for yours’ and following this philosophy have created this special space so that families can create permanent online memorials for their loved ones.